If the endless news cycle from the other side of the pond has become too much to bear, there's another way of taking the pulse of a nation. Every year, the AFF's Official Documentary Competition offers an insight into the national mood; the concerns and anxieties, the stories being told across an entire spectrum of perspectives. The subtitle of Adam Bhala Lough's entry will ring true for those with even a passing familiarity with news events of the last year. Alt-Right: Age of Rage offers a bracing account of the events leading up to the Charlottesville demonstrations in August 2017. Eschewing a broader overview of the rise of white nationalism in the US, Lough focuses on the duelling positions of alt-right poster boy, Richard Spencer and antifa activist, Daryle Lamont Jenkins. 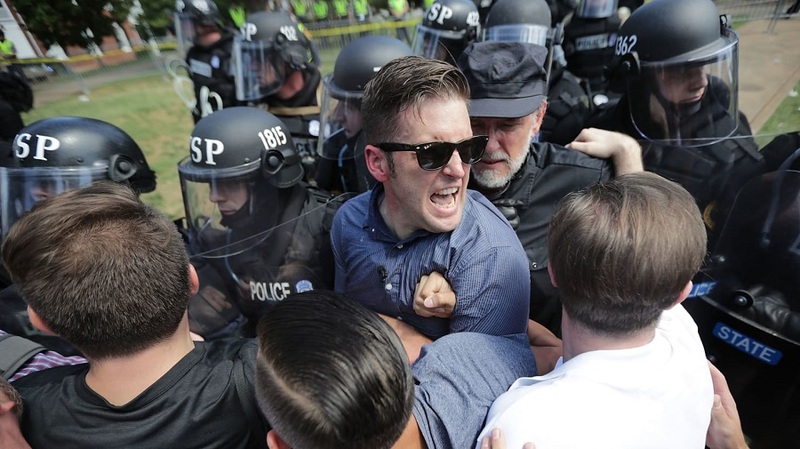 The time spent with Spencer - and insidious pseudo-intellectual Jared Taylor - affords more than enough rope for the duo to hang themselves on their respective platforms, while on-the-ground reportage from the climactic Charlottesville demonstration puts viewers in the midst of the fray, visceral proof of the physical consequences of the hate-filled rhetoric spewed online. A more benign - if no less startling - portrait of the effects borne out of peddling pseudo-science online can be found in Daniel J. Clark's Behind the Curve. 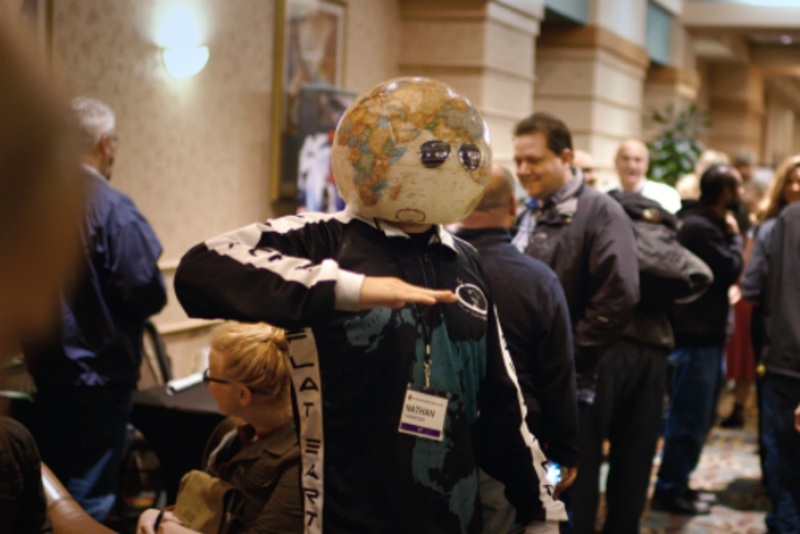 Digging deep into the world of flat-earthers, those online crusaders determined to prove that our spherical notions of the planet are in fact the result of government conspiracy, Clark initially allows for some knee-jerk humour at their expense. As the film illuminates the competing hierarchies within the community, deeper truths begin to emerge; not least the empathetic need for connection, however out-there the terms of engagement. The pathos Clark mines from his protagonists' lives proves finally proves delicately moving, even if he can't resist the hilarious zinger of his final shot. An antidote to the fury and confusion of the above can be found in Norah Shapiro's Time for Ilhan, which follows the first Somali woman to be elected to office in US history. Ilhan Omar arrived in New York with just three English words under her belt, having spent the last four years in a Kenyan refugee camp. Settling in Minnesota, the heart of the Somali-American community, Ilhan makes a bid to unseat a candidate who's held office since the 1970s. Not an easy road to travel for a hijab-wearing woman in the age of Trump, as evinced by the slanderous campaigns waged against her online by right-wing bloggers. If the soaring montage with which Time for Ilhan ends, putting faces to the waves of women running for office since Trump's election, sends us out on a hopeful note, there's clearly as much work to be done on the structural imbalances of the film industry. Fresh from Sundance, Amy Adrion's Half the Picture serves as a rallying cry for greater gender representation behind the camera. Effectively a series of interviews with female filmmakers, the presentation may be straightforward, but the articulate, often hilarious, personal recollections speak volumes of truth to power. This year's competition isn't all about politics, however. If you're just after a great story, well told, then grab a ticket for White Tide: The Legend of Culebra. A hippie living in Puerto Rico finds $2 million of cocaine washed up on the beach. He buries it, forgets about it. Cut to some fifteen years later, and he's recounting his wild yarn to a gregarious builder hit hard by the financial crisis. "If you knew where $2 million was buried in the ground, would you go and get it?" That's the set-up for a tall tale that goes some way to prove truth really is stranger than fiction. "It's like Walter Mitty meets Breaking Bad," says one commentator, and that's as much as we'll spoil of this unlikely rabble's once-in-a-lifetime misadventure. One of the great joys of the documentary strand is going in without knowing anything about a given title. That was how I stumbled across Satan & Adam, and can wholly the recommend the same. The title conjures a number of possibilities, so all I'll say is that it's one of the best films in this year's programme, and easily the best music doc since Searching for Sugarman.